Imagine you’ve just moved to a new city. You’re excited to be there, and you think your life will really improve because of it. You also have a lot of questions. You need to know how to set up your utilities, where the best restaurants are, which highways have the least traffic, and so much more. If you don’t start finding answers quickly, you may start to get overwhelmed. Your old city will start looking better and better. Life wasn’t perfect there, but at least you knew what you were doing. Eventually, you might decide to move back. Your insurance customers feel the same way. No one thinks insurance is simple. Your insurance customers definitely don’t. When they switch to a new company, they’re doing it because they think they’ll get better coverage, better service or both. If they can’t figure out what’s going on, they’ll quickly become disillusioned. 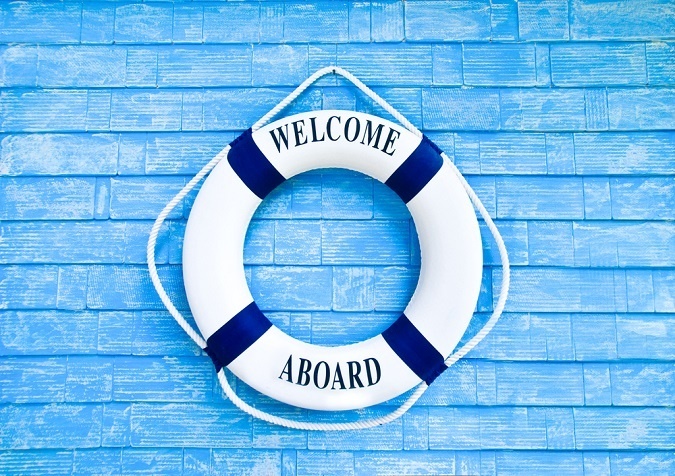 Insurance companies can help with the right onboarding strategies. 1. Anticipate common questions and provide answers. Most new insurance customers will have many of the same questions. They’ll need to know when and how to pay their premiums. They’ll also want to know what to do if they have a claim. Make the answers to these questions easy to find. 2. Don’t rely on huge booklets. You might mail your new customers a huge booklet, but don’t expect them to read it. It’s not that insurance customers are lazy. It’s that they’re busy, and insurance information is very dense and not that easy for the average person to understand. Provide other ways of accessing information, and break it up into easy-to-digest pieces. That way, your insurance customers can actually find the information they need. 3. Provide fast responses – whenever the customers need it. Having customer service representatives available during standard business hours isn’t enough. Why? Because most of your customers are working during standards business hours. They can’t spend hours waiting on hold with their insurance company. And not all questions come up during business hours. If your customers have a problem, they’re going to want answers immediately – even if it happens to be a Saturday night. Chatbots make this easy. With a well-designed chatbot, insurance companies can provide immediate replies, no waiting on hold required. 4. Follow up with customers. Silence could mean everything is going well – but don’t assume that’s the case. Make sure you follow up with new customers to see if they have anything questions or problems. Even if they don’t, the friendly check-in will assure them that help will be available when they need it. Consider using email or messaging automation to send helpful tips sequentially – perhaps once a week or once a month. Frequent communication builds top-of-mind awareness and trust – the key is to be helpful rather than self-promotional. According to Pew Research Center, 77 percent of U.S. adults now own a smartphone. Calling a smartphone a phone is a bit misleading. Another Pew Research Center study found that more and more people are using smartphones for a variety of tasks, including getting directions and making purchases. Most people always carry their smartphone with them, and it’s the first thing they turn to when they need information. Insurance companies can capitalize on this development by using technology as another way to communicate with customers. Mobile apps, chatbots, messaging services and online tools can make it easy for new customers to learn about their coverage. Explore more insurance marketing articles.